Joy Byrne is one of those bubbly women who brightens your day, no matter what's going on. She's full of energy, has a great sense of humour and lots of enthusiasm. But in truth her back story is not only gruelling, it spans decades. It began soon after she was born, when her mother Frances guessed her baby daughter had inherited a genetic disease called cystic fibrosis (CF). She was no stranger to CF; her first child Sharon had succumbed to the condition when she was just four days old, while her fourth child, Paul, lost his battle with it in his seventh year, while Frances was already pregnant with Joy. "My mum knew I had CF straight away, because when I threw up after I was born, she could see sticky green mucus," explains Joy. 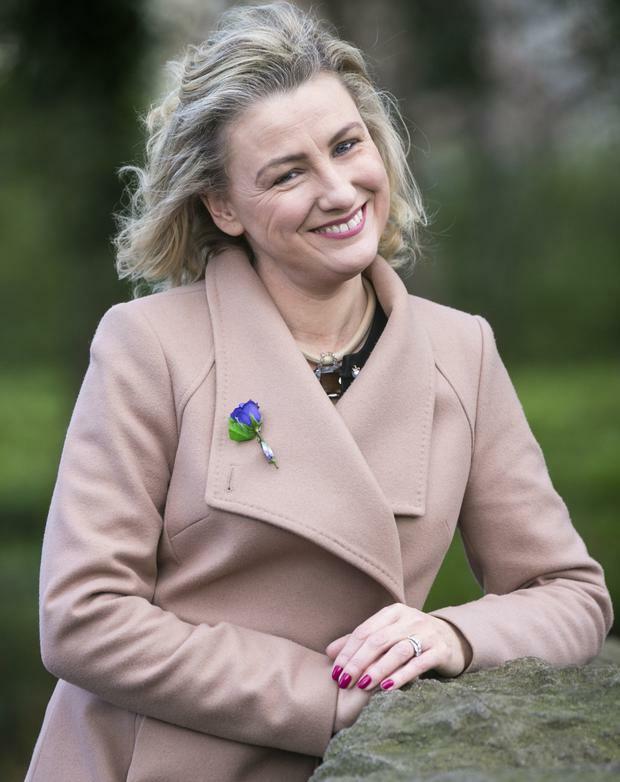 According to Philip Watt, chief executive of Cystic Fibrosis Ireland (CFI), this is an inherited, chronic disease that primarily affects the lungs and digestive system of about 1,300 children and adults in Ireland. "A defective gene and its protein product, cause the body to produce unusually thick, sticky mucus that clogs the lungs and leads to life-threatening lung infections," says Philip. "It also obstructs the pancreas and stops natural enzymes from helping the body break down and absorb food." "I struggled quite a bit when I was a very small child," says Joy. "But then I had a great spell of good health." And while her lungs were functioning quite well, she still had constant digestive issues. After school she did textile design at the National College of Art and Design in the metropolis. "Once I started the course, I began to push myself really hard," she says, "and that's when my health started to deteriorate." Up until then she had been hospitalised only a few times during the previous 10 years, with each visit lasting about three weeks. Now she was being hospitalised at St Vincent's University Hospital three times a year. And by the time she hit her late 20s, those stays were lasting eight to 10 weeks. When she was 33, Joy married Shane O'Brien who works in finance. "He has always been very supportive," she says. In 2013 she joined Rush Golf Club. Having plugged herself into her oxygen, she would tootle around the links on her electric scooter, then unplug herself, play her shot and then reconnect to the oxygen supply. "Golf was my saving grace," she says. "It kept me strong but it was also very hard on me. Because my lungs were so damaged, I used to cough up blood." Joy got great support from other women members at the club, who used to retrieve her balls when they landed in the rough. Other times they pretended they didn't know where her ball had gone, so she didn't expend precious energy trying to locate them. When the issue of a transplant first arose, Joy was really excited. "I wanted a transplant from the minute I knew I was going downhill," she says. "I played golf, but that was all I could do. "I had friends with CF who had gone through transplant and their lives had turned around. I wanted that for me." By then, vast swathes of her day were spent using a nebuliser (turning liquid medicine into mist), a BiPAP machine (which helps regulate breathing), lengthy self-physiotherapy sessions (to loosen mucus in the lungs) and taking a "massive" number of drugs (to ease the breathing and digestive problems). "And after all that, I was still coughing up a lot of secretions," she says. "It was very, very tough." In 2016, Joy finally went on the lung transplant list. Several months of assessment followed at the Mater Hospital to ascertain if she was a suitable candidate. Thankfully she was. The first call she got was in the middle of the night. Having dashed to the Mater, the donated lungs proved to be too small. The second call also resulted in disappointment. But just four days later, she was finally wheeled into theatre for her life-changing surgery. "I woke up on a ventilator, feeling as if I'd been hit by a bus," she says. "You feel horrendous as to remove the old lungs and transplant the new lungs, the surgeon needs to access the chest through the sternum and ribs." Nonetheless, because she could hear people talking and could move her legs, she knew she was still alive. Two days later the ventilator was removed and eight days after that, she was already off oxygen - she had made a brilliant recovery. Her lung function, based on weight, height and gender is now way better than was ever anticipated; in fact, it's way above average. "I'm really enjoying life now," she says enthusiastically. "I'm very involved in committees at Rush Golf Club. Shane plays there too. Being well is a miracle. I've never felt so strong and fit. Staying like that is my absolute priority. "It's not just me that was saved by transplantation -it transformed the lives of my whole family. It's taken such a weight off my mother's shoulders and without it, Shane would be a widower. Of course, there are still some fears about rejections and infections, but I plan to stay positive." Joy says there also continues to be concerns around CF-related diabetes and digestive issues, so she is careful about what she eats, exercises regularly and stays in close touch with her medical team. When you meet her for the first time your day is immediately brightened by Joy's lovely personality, her positive attitude and her sheer zest for life. You also know that she is extremely grateful for the gift of life. So she is fully committed to ensuring that as many people as possible benefit from lung transplantation, which can only happen if enough people commit to becoming organ donors. It is also helped greatly by the funds generated during 65 Roses Day which go directly to Cystic Fibrosis Ireland so they can assist people living with CF.